On the morning of February 28, Israeli police arrested two Palestinian shepherds as they grazed their flock in the valley of Umm Zeitouna near the Israeli settlement of Ma’on. 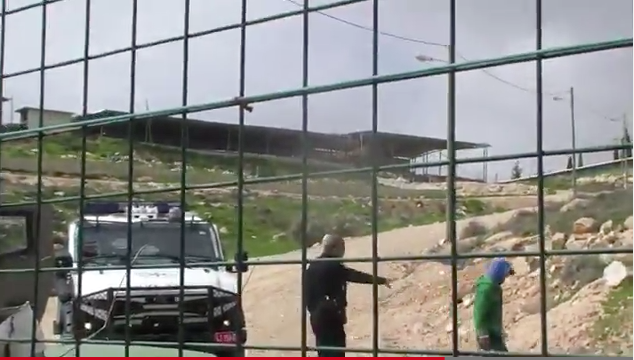 In late morning the security chief of Ma’on settlement and Israeli soldiers arrived in Umm Zeitouna valley where the shepherds, accompanied by international volunteers, were grazing their flock on land which Israeli settlers from Ma’on are attempting to annex. After a few minutes the Israeli police arrived and they immediately detained two shepherds and two international volunteers. At about 12.30 pm Israeli police arrested the two shepherds and took them to Kyriat Arba police station. The volunteers were released. The Palestinians were released at about 3 pm, after paying a fine of 500 NIS for each person. Residents of the South Hebron Hills experience continual harassment from settlers in nearby settlements and outposts, but remain steadfast in their commitment to nonviolent resistance. Each day that they graze their sheep in contested areas, the shepherds continue to resist settler attempts to drive them from their lands. International volunteers have witnessed shepherds chased from Umm Zeitouna six times since the start of the year (in five of these occasions the Israeli army came after a settler’s call). 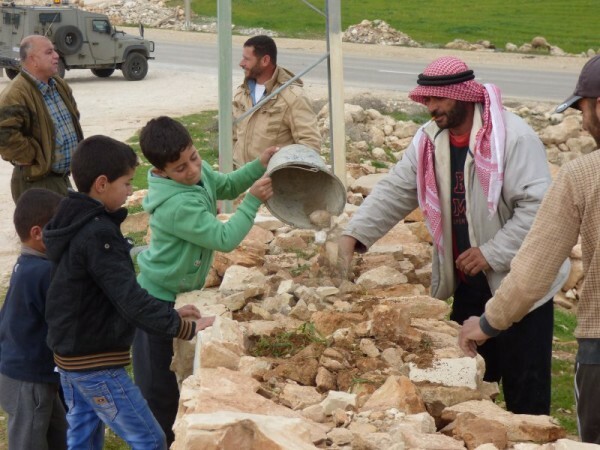 The arrest followed a nonviolent action that morning during which residents successfully repaired the road which links At-Tuwani village to Yatta, and the attendance on February 27 of the South Hebron Hills Popular Resistance Committee at the 10th anniversary nonviolent action in Bil’in. These are two examples of the commitment of the South Hebron hills people to use nonviolence to resist the occupation, both in their own communities and throughout Palestine. 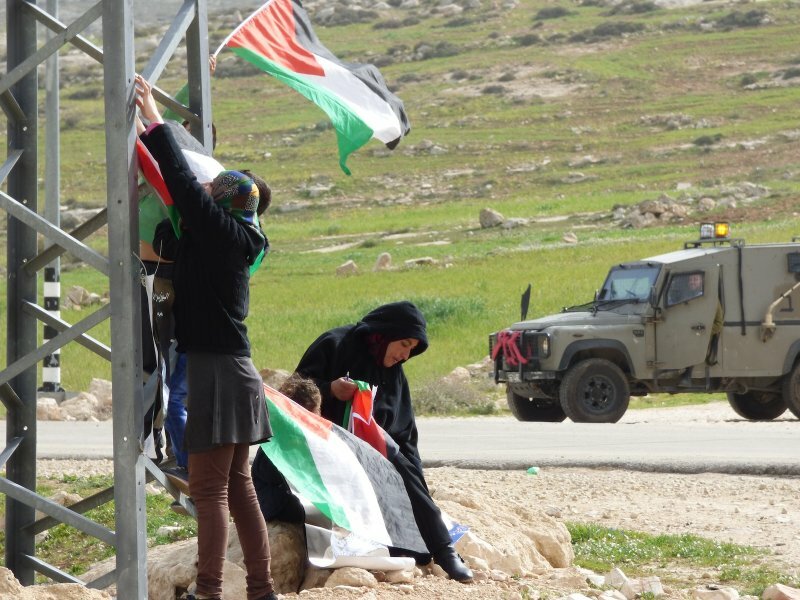 The life of South Hebron Hills residents is one of a daily resistance to the Israeli occupation.